Latinos are fighting for equal protection for those affected by the climate crisis. Early in 2015, a national poll revealed that 54 percent of Latinos in the US say that global warming is extremely or very important to them personally, compared with 37 percent of white Americans. The poll was conducted by Stanford University, The New York Times, and a polling group called Resources for the Future, and its results made national headlines for a short time because many found them surprising. Nicole Hernandez Hammer did not. Nicole Hernandez Hammer, Southeast climate advocate for the Union of Concerned Scientists. 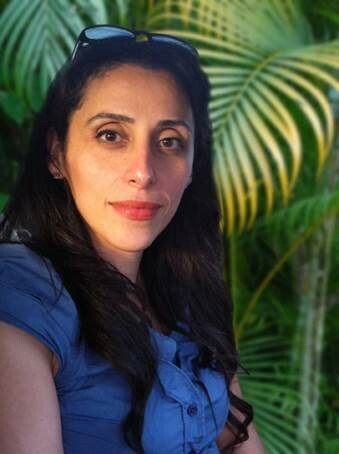 Hernandez Hammer realized that Latinos across the country were bearing the brunt of climate-change effects when she was the assistant director of the Florida Center for Environmental Studies at Florida Atlantic University. There, she made a career of studying sea-level rise, its impacts on the planet, and its links to global warming. If we are able to prevent the worst effects of climate change, I want my son to know that I was a part of it. And if not, I want him to know we tried really hard. After 15 years in academia, Hernandez Hammer decided to shift her work to environmental and climate advocacy, particularly in the Latino community. Her work has garnered enough attention that First Lady Michelle Obama invited her to be her personal guest at the 2015 State of the Union Address. Part of what drove her career switch was the fact that her family’s home was “completely destroyed” when Hurricane Andrew hit Miami Beach in 1992. She says they thought they were safe, because they’d heard Andrew was going to hit east of where they lived. Hernandez Hammer joined the staff of the Moms Clean Air Force, a national organization made up of mothers united against air pollution and climate change. There, she knocked on doors and held educational events to talk to other mothers in south Florida about climate change and what they could do about it. While she still volunteers for the Moms Clean Air Force, Hernandez Hammer is now the southeast climate advocate for the Union of Concerned Scientists. While her focus is still informing and organizing people, particularly Latinos, about climate change, she works with a broader spectrum of those who live across the entire southeastern United States. A big focus of her work is environmental and climate justice, she says, because while Latinos are disproportionately affected by the climate crisis, they’re not always receiving the same level of protection from it as Anglo communities. As an example, she points to her home city of Miami Beach, which sees its highest tides of the year in the fall — a phenomenon locals refer to as the “king tides.” In the last 50 years or so, she says, people in Miami have been experiencing more and more flooding during the king tides. The city’s drainage systems can’t cope with these higher seas, so salt water corrodes pipes and seeps over roads and into homes and buildings each year, contaminating soil and drinking water wells. In flood waters, there is bacteria and all sorts of toxins floating around. Kids were walking in that water to get to their school buses. Hernandez Hammer and volunteers from local community groups go into Latino neighborhoods to tell people that the flooding they’re seeing is due to the climate crisis, not busted plumbing. 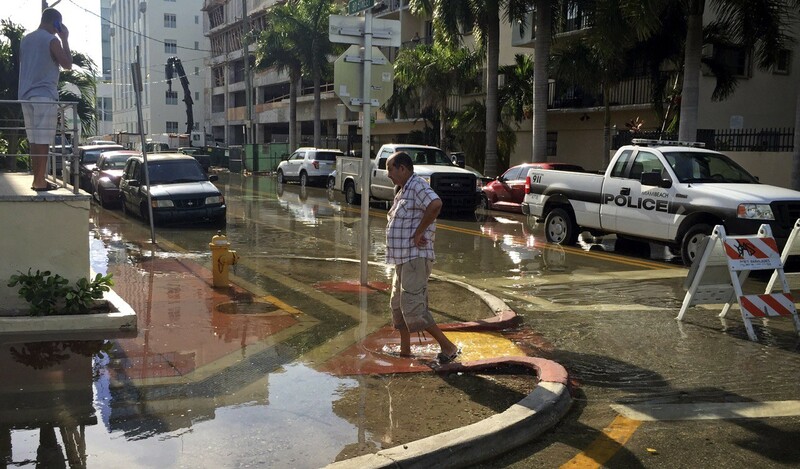 During a recent king tide flooding cycle, she went into the affluent neighborhoods of Miami Beach. “There were pumps, sandbags, construction to raise the roads. Millions of dollars were being spent to protect the high-end areas,” she notes. When Hernandez Hammer knocks on doors, she finds that her Latino neighbors are only too willing to join her — to protect their homes and to protect the environment. A lot of the information they get is from international news sources like Telemundo and Univision that are pulling data from scientists, so their information is accurate.… They have no doubt that climate change exists and is a major issue. Consequently, once given the opportunity to join the national conversation on climate by leaders like Hernandez Hammer, Latinos in Florida and elsewhere have been turning out in droves to push for climate justice and renewable energy. “We’re looking for solutions,” she says. “There’s been a lot of work letting people know what climate change is and what might happen, but we’re living now with climate change. Currently, the Latino community and others across the state are collecting signatures for Florida’s Solar Choice ballot initiative, which would allow Floridians the option of choosing solar power. (The “Sunshine State” is currently one of four states that prohibits residents from buying electricity from any entity that is not a utility, in effect making putting up rooftop solar panels largely illegal.) They’re adding their voices and efforts to local initiatives like the Southeast Florida Regional Climate Change Compact, an agreement among four counties to “coordinate mitigation and adaptation activities across county lines,” in particular to call for the use of renewables. And they’re getting out their word about the growing power of the Latino vote in the 2016 elections. Organizations like Voto Latino and Mi Familia Vota are urging Latinos across the country to upgrade their immigration status if needed to become naturalized citizens, so they can flex their voting might during this election year. While both organizations say Republican presidential nominee Donald Trump’s words about Mexican immigrants being largely “rapists and murderers” last June have been a huge driver for that effort, Hernandez Hammer believes that Latinos’ care for the environment will be a major catalyst as well. One thing is certain: Hernandez Hammer is passionate about the role Latinos can play in mitigating climate change, and she won’t be hanging up her activist hat anytime soon.